Friendship is not a big thing....it's a million little things. Your dear friend has shared your joy and wiped away your tears. 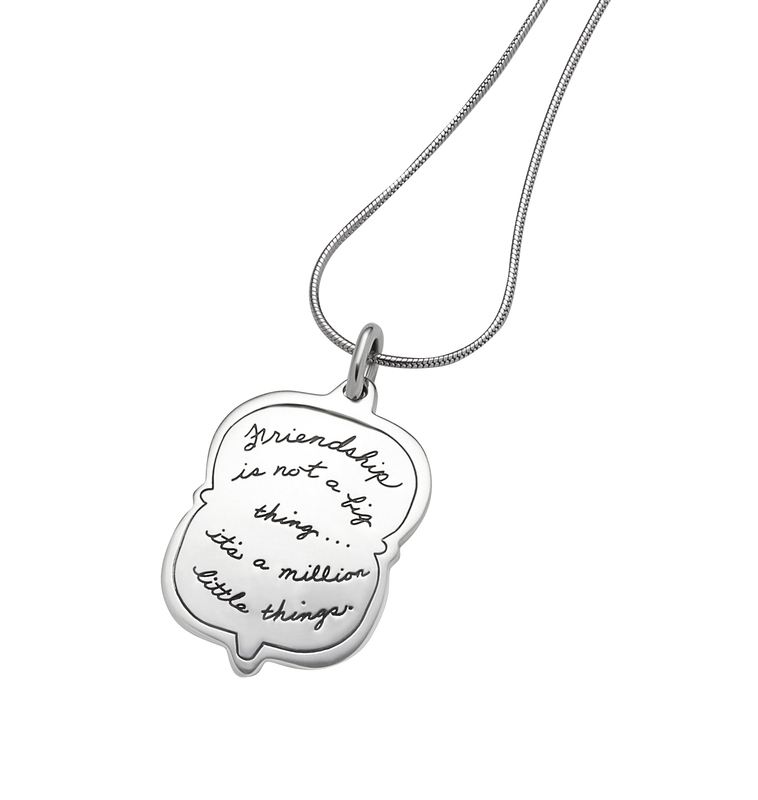 Thank her for the million ways she has impacted your life with this hand-engraved sterling silver pendant. We hand-polish the pendant so It shines as bright as your friendship on a lovely 18” silver chain. It’s the perfect gift for your best friend or any friend who has made a difference in your life. 1 1/2 inches high by ¾ inches wide.